Spanish transportation technology developer and consultancy Indra is currently working on new security technologies for communications, information exchange, cloud and distributed intelligent processing for four major European connected and autonomous vehicle (CAV) projects. Vehicle connectivity and automation improves mobility and increases the safety of journeys, but also opens the door to possible cybersecurity attacks on connected cars, infrastructure and traffic control centers. • SECREDAS (Security for Cross Domain Reliable Dependable Automated Systems) – a project involving 69 entities from 16 European countries, with a budget of €50m (US$56.6m) from the European Union ECSEL program, which aims to create a secure reference architecture for automated systems that also complies with the new General Data Protection Regulation (GDPR). It addresses technologies related to cybersecurity in the areas of transportation, both rail and automotive, and health. In the automotive sector, the project addresses the development of tools and mechanisms to preserve privacy and ensure the security of data and automated systems in all communication layers of connected cars and their ecosystem: from internal vehicular systems, to the exchange of data with control centers, roadside infrastructure, and the cloud platforms that will provide vehicles with new services. In collaboration with several auto makers, Indra will deploy new services for connected cars, based on safe information exchange and communications, with the highest levels of security. 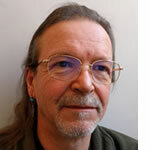 • SCOTT (Secure Connected Trustable Things) – an EU-funded project with 57 partners from 12 countries that aims to extend the Internet of Things (IoT) to a multitude of wirelessly-connected smart sensors. Indra is developing an intermodal platform in the cloud, which will allow real-time information such as speed limits or other signals, recommendations or alerts, and even information from other means of transportation, to be sent securely to vehicles. The aim is to create a secure and interoperable ecosystem that can integrate conventional vehicles, CAVs, other means of transportation to improve urban mobility and travel safety. 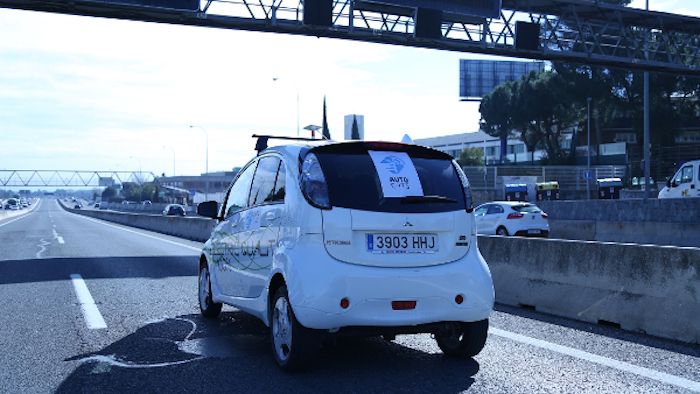 • AUTOCITS – an Indra-led project that is testing autonomous driving on highways in Madrid (Spain), Lisbon (Portugal) and Paris (France) to adapt regulations, control centers and infrastructures to CAVs. In tests, an autonomous car is already traveling at speeds of over 50mph (80km/h) in the lane for HOV and buses on the A-6 highway in Madrid. A network of equipment fitted with various ITS-G5 and mobile communication technologies has been installed, allowing data exchange between the CAV and the traffic control center, creating cooperative intelligent transport services (C-ITS). • C-ROADS – a joint EU and road operators project, where Indra is acting as a technology provider, developer and implementer of secure C-ITS services for drivers in Madrid and Cantabria. The company is developing the control center software and highway equipment that allows information to be securely sent to vehicles, as well as creating adverse weather, upcoming tailbacks and approaching emergency vehicle warning services that can be sent to CAVs and conventional vehicles.